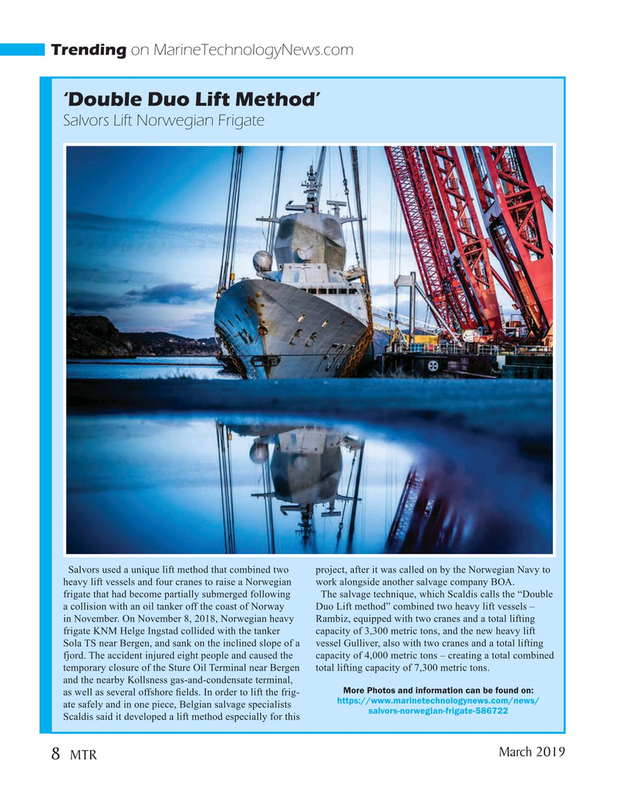 Salvors used a unique lift method that combined two project, after it was called on by the Norwegian Navy to heavy lift vessels and four cranes to raise a Norwegian work alongside another salvage company BOA. Sola TS near Bergen, and sank on the inclined slope of a vessel Gulliver, also with two cranes and a total lifting fjord. The accident injured eight people and caused the capacity of 4,000 metric tons – creating a total combined temporary closure of the Sture Oil Terminal near Bergen total lifting capacity of 7,300 metric tons.